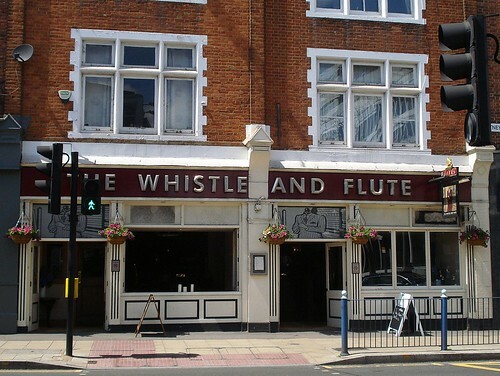 This week's featured article is The Whistle and Flute, SW15 1SQ, a Fuller's pub somewhere in between scruffy and gastro. It has the usual range of Fuller's beers and ales, so it'll do you fine if you're in Putney for a drink. Lots of new articles this week, as certain maintainers of our community have been getting out and about in London. We have Amasi, a Middle Eastern cafe on an industrial estate in Perivale, so er yes, if you find yourself on an industrial estate in furthest West London, now you know where to go. 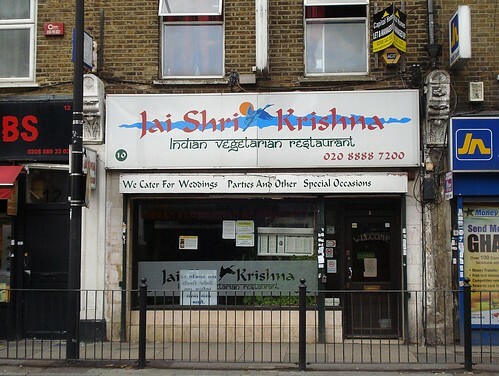 We also have Shree Krishna Vada Pav, an Indian cafe in Harrow. There's new entries for drinking establishments too: Ward's Freehouse, a pub in Harrow lacking any real ale; The Hussar at the edge of Hounslow, ditto; The Earl Haig, also in Hounslow, also no real ale; and The Beagle, a cocktail bar/restaurant in trendy East London's Haggerston/Shoreditch boundaries. 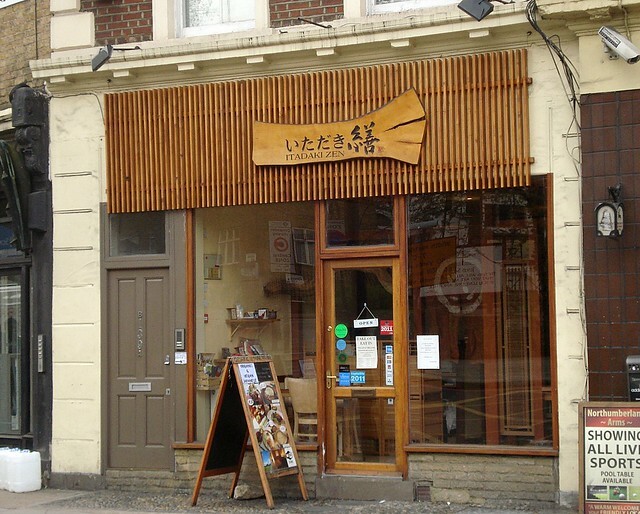 There are significant updates for The Old White Bear in Hampstead, and Au Lac, a Vietnamese restaurant in Highbury. Two reported closures are The White Swan, one of Golders Green's few remaining pubs, and, sadly, an excellent East Dulwich wine shop/bar, Green and Blue. 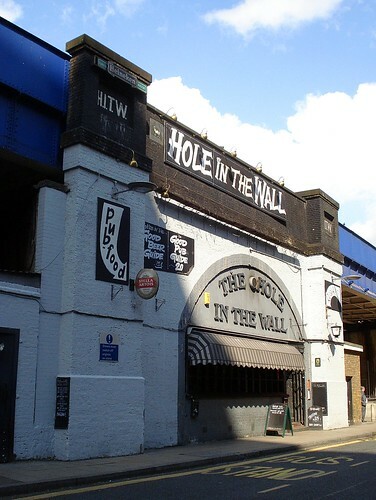 This week's featured article is The Hole in the Wall, SE1 8SQ, a pub hidden away down the side of Waterloo station which feels like a proper traditional locals' pub rather than a transient station drinking hole. It's bigger than it looks too. The one addition is the Fox @ Connaught, a pub in the Royal Docks across from London City Airport. There's precious few pubs in this area, so just having some handpulls makes it a bit of a haven (relatively speaking). 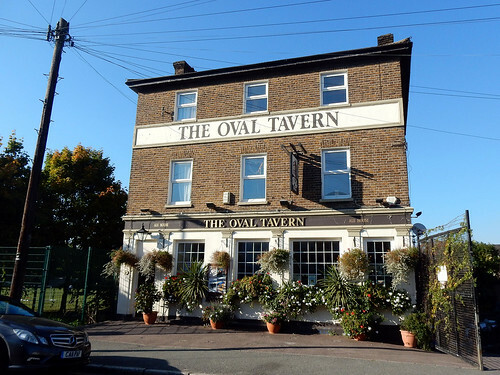 Significant updates to the entries for The Railway and The Black Horse in Greenford, and The Lemon Tree in Covent Garden, no longer run by Jack Beard's (thankfully) and largely still avoiding the tourist trade. Reported permanent closures are Sweet and Spicy Indian restaurant on Brick Lane, and Little Hanoi Vietnamese just off Old Street. Finally, possibly a temporary closure for The Horse in Lambeth North may be a more permanent one, but we're not sure. 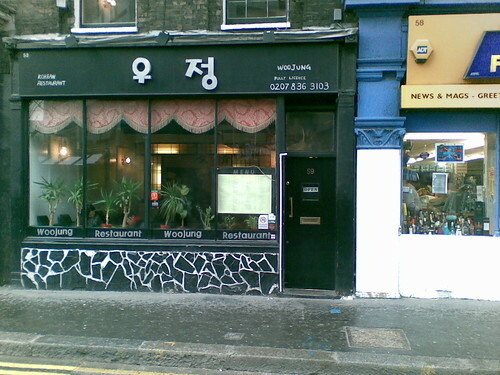 This week's featured article is Woo Jung, WC2H 8LH, a Korean restaurant near Centre Point in that tricky little area between WC1 and WC2 that I usually call St Giles, some developers call Mid Town, but for convenience we'll just call Covent Garden. 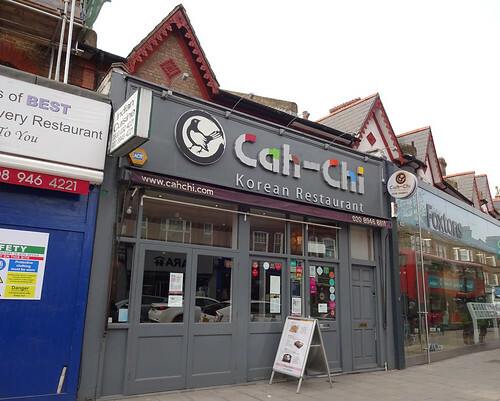 There's a little stretch of Korean places along here, so you can come here if you can't get into the others. 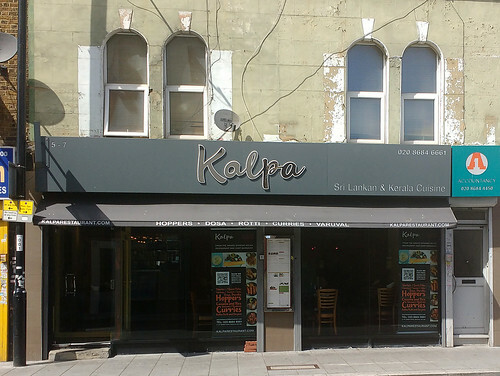 New articles are: Cafe Kozzy, a greasy spoon in Holborn; and Tufnell Park Tavern. Sure, it's a tavern and it's in Tufnell Park, but it's more than averagely child-friendly. On the downside, it's a bit big and airy in there, and they don't know how to pull a pint, but at least they have real ale. Reported closures are Favela Chic, a Brazilian bar in Shoreditch which turned into another Brazilian bar a year or two back; and The Oporto, a pub by Westferry station in Poplar which is now called The Westferry Arms and may be much the same, though we haven't been since the change of name. 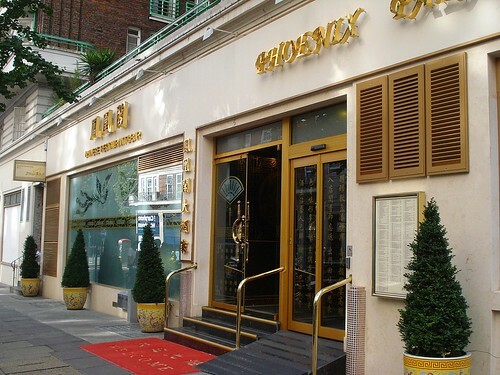 This weeks' featured article is Phoenix Palace, NW1 5PG, a great Chinese restaurant near Baker Street. As well as dim sum, they do all sorts of interesting dishes: congee, wild boar curry, beef shin and lotus roots (possibly not all at the same time, but don't take my word for that). Vegetarians, vegans and small humans are also catered for. We also have two additions: Amico Bio, an Italian restaurant in Holborn that does gluten-free and vegan pizzas, and the Well and Bucket, a newly-reopened pub at the Brick Lane end of Bethnal Green Road, which has plenty of nice beer (on both pumps and taps). Guess which one out of these two serves oysters! Do you know any newly-opened or refurbished places RGL should visit? What about that Tasmanian restaurant with seats made out of old helicopters that just opened on your road? Maybe you've spotted that one of our photos is out of date and would like to take a new one for us? Let us know in the comments! 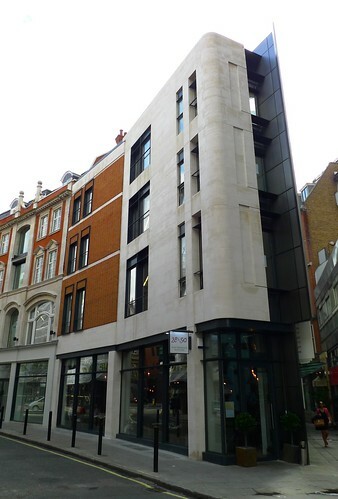 This week's featured article is 28°-50° Wine Workshop and Kitchen, W1U 2NE in Marylebone. For those wondering, apparently most vineyards are located between 28 and 50 degrees latitude. They don't even say on their website, so maybe it's just really obvious? 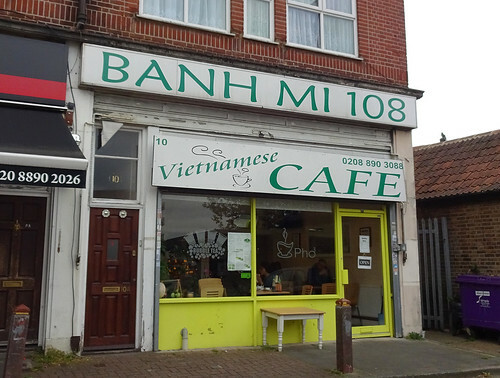 The one addition is Longdan Express, a Vietnamese and pan-Asian supermarket near Hoxton station on Shoreditch/Haggerston borders. There's an update to Hackney Picturehouse cinema entry, by me, the gist of which is that it's a really nice cinema (comfy seats, big screens) and the cafe/bar is excellent too. Reported permanent closures are: Chicago Rib Shack in Knightsbridge; and The King's Arms near Victoria station, which has closed and is set to be demolished along with all the other pubs in that area (The Stage Door, The Duke of York, The Stag) to make way for a new DEVELOPMENT called Victoria Circle. Yay. This week's featured article is Mason & Taylor, E1 6LA, a Shoreditch bar but one with a greater emphasis on quality ales and keg beers (including plenty of bottles). There is one new article, Fat of the Land, a tapas bar in Marylebone. Three significant updates are: The Old Red Lion, an Antic pub in Kennington; The Prince of Wales, a Good Beer Guide pub in Cheam; and The Harrow, another pub in Cheam. One reported closure is Market Coffee House in Spitalfields (now a restaurant, though run by the same people). 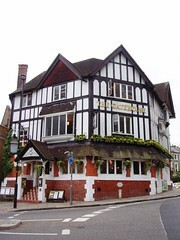 A bit of a busier week this week, and possibly our first featured Wetherspoon's is the Gatehouse, N6 4BD. Being in Highgate, it's a rather upmarket outlet for this budget chain, and has long been in use as a pub. 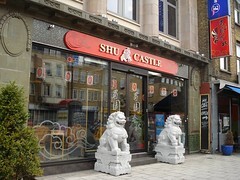 New additions are: Pitt Cue Co., a bbq rib outlet in Soho; and Roti Masters, a Caribbean cafe in Croydon. There's an update to the stub entry on North Nineteen, a Good Beer Guide pub in Upper Holloway, now with a full review. I liked it there! 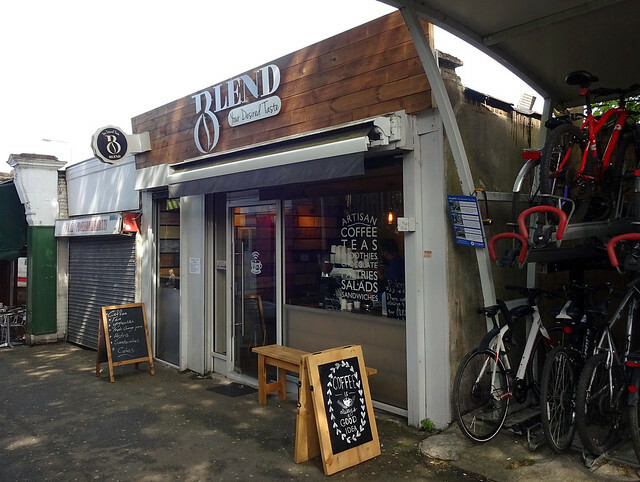 There's one temporary closure for refurbishment, Toad's Mouth Too Cafe in Brockley. 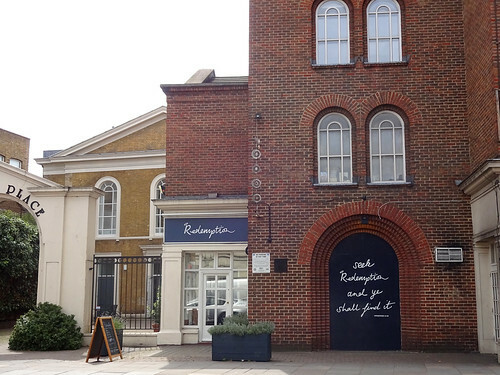 There are also three permanent closures: The Rugby Inn, a pub in Twickenham; Rasa Samudra, an Indian fish restaurant in Fitzrovia (moving its operation to the sister restaurant in Mayfair); and Saf, a vegan raw food restaurant in Shoreditch. 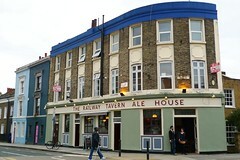 The featured article this week is The Railway Tavern Ale House, N16 8JT, not too far from Dalston Kingsland station (towards Newington Green), and a rather nice place indeed. The one new addition is Golden Chef's Grill, a greasy spoon in Croydon. 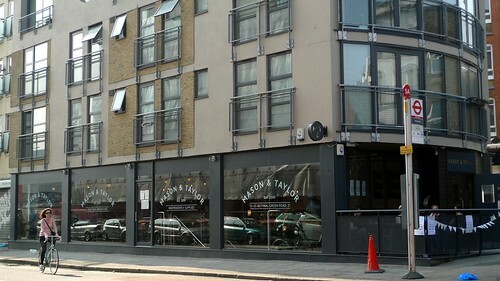 There are major updates to The Mall Tavern, a gastropub serving excellent food on the Notting Hill/Kensington borders. Reported permanent closures are: The Mash Tun, a tiny pub in Victoria station; Samurai sushi's branch on Goodge Street; and The Tabernacle, a bar in Shoreditch, which was renamed McQueen about a year ago (but is still a bar). 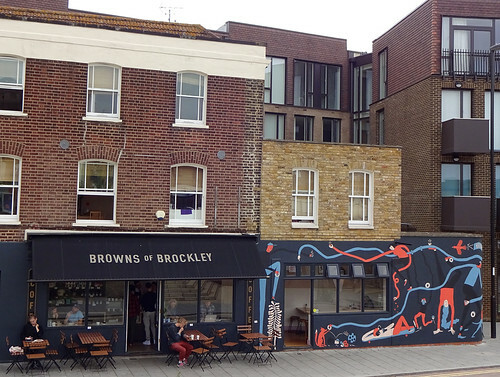 Finally, one venue has been renamed: Artisan of Clerkenwell, previously known as The Priory.